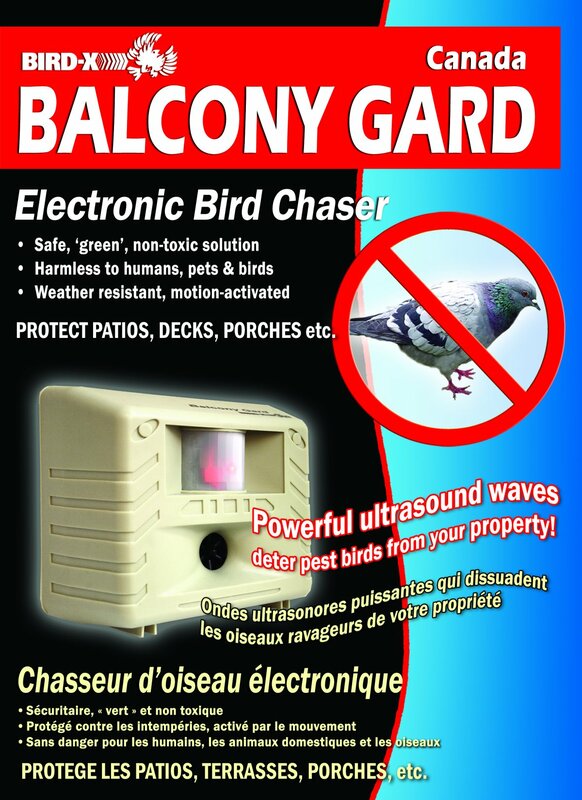 The Balcony Gard LF emits a high frequency sonic tone that irritates pest birds, forcing them to leave the affected area. The frequency is high enough to be undetectable to most humans, and is user selectable between 15 kHz and 19 kHz at a volume of 90 dB @ 3 feet (most adults can only detect sounds up to 12 kHz). It has a range of 900 square feet and is effective against a wide range of pest birds. 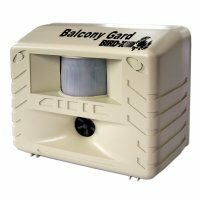 When not set to "Constant" the Yard Gard has a built-in infrared motion detector which activates the unit when pests move into the coverage zone (roughly 35' wide x 70' deep). 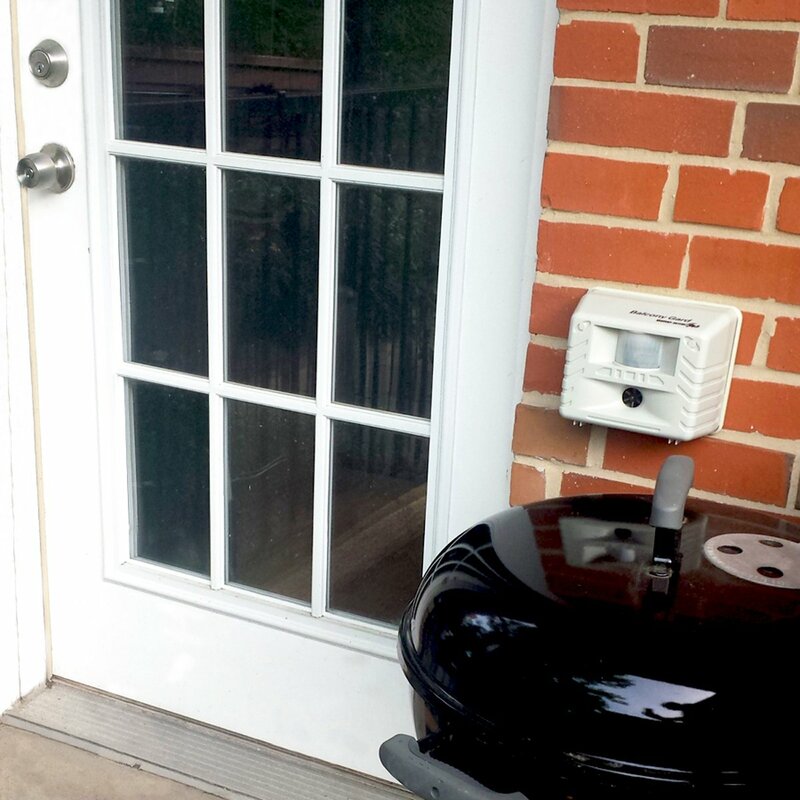 The water and weather-resistant unit comes with a 30' 120v outdoor-rated power cord and also can run off 4 "C" batteries. This product comes with a 6 month manufacturer warranty. 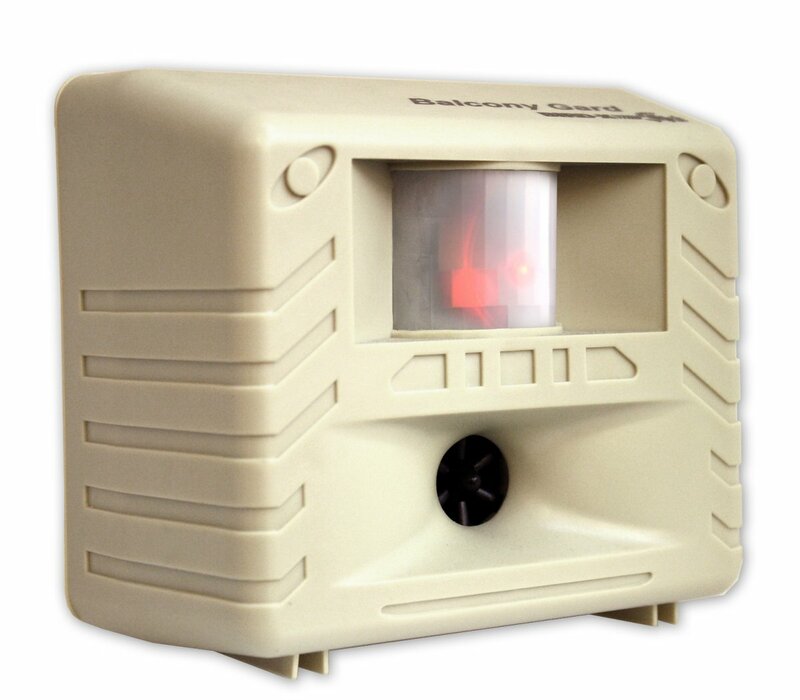 Power Input: 120 vAC (120vAC adapter included with 30' power cable) or 4 x 1.5v C "Batteries"